Nephelium lappaceum Seeds Controlling Blood Sugar Level? 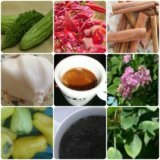 QUESTION: What is the role of seeds of nephelium lappaceum in controlling blood sugar level? 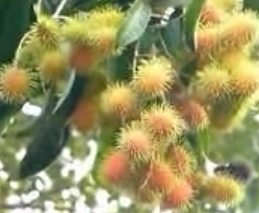 Just for your information I will mention that nephelium lappaceum is also known as Rambutan. Interesting fact is that few years back this herb was proved to be effective in lowering your blood glucose. It can lower your blood pressure as well. Regarding your question about the role of rambutan in lowering the blood glucose, you have to know that the scientists have recently found the active substance of this plant - geraniin. This substance has the ability to inhibit certain enzymes important for the glucose metabolism. When these enzymes are blocked, the glucose from the food can’t get absorbed in the blood stream resulting in low blood glucose level. Besides this, geraniin reduces the risk of diabetes complications, not only because of its blood glucose lowering activity, but because of its antioxidant activity. At first, you have to take 5-10 rambutan seeds and to crush them. Then, you have to pour them in hot water and to stir well. At last, you have to wait for about 10-15 minutes until the beverage gets cooler and to drink it before having a meal. Don’t use the seeds more than 3 times a day because of the risk for hypoglycemia. Do not use not more than 10 seeds at once, because of the same risk.